Published October 13th, 2010	in Misc. 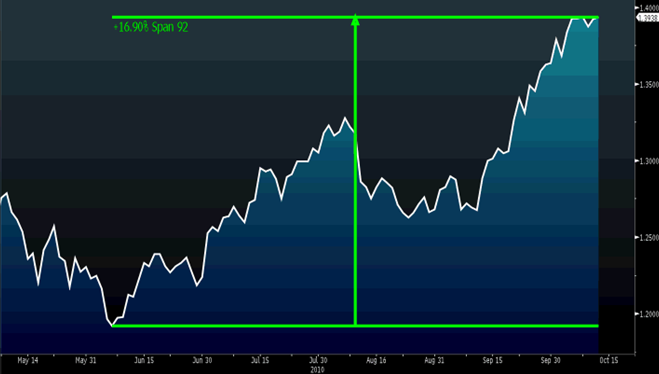 Since early June, the Euro has rallied nearly 17% against the dollar. Most of that during September as the outlook for more Quantitative Easing from the Fed became more likely. 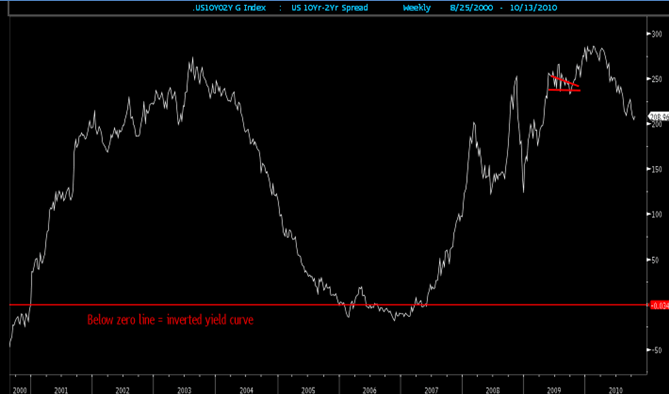 The long end of the curve (30’s minus 10’s) has steepened while 10’s minus 2’s has flattened. 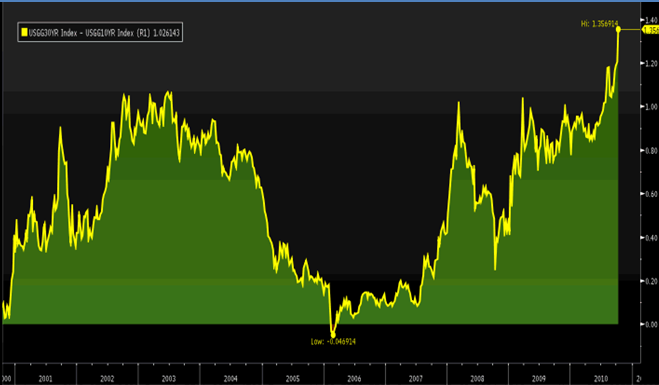 This could be signaling a lot of things, one of them being longer term inflation expectations are on the rise…perhaps in response to the thinking that additional Quantitative Easing ultimately increases the risk of higher inflation down the road.